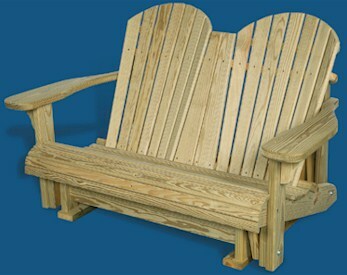 We offer a very large selection of outdoor furniture and we look forward to helping you find the perfect piece for your home or yard. 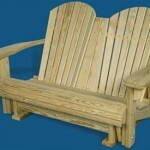 Quality Built Outdoor Wood Furniture can accent your yard while providing comfort and functionality. 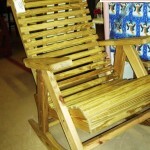 We offer only the finest, handcrafted and rugged outdoor furniture available. 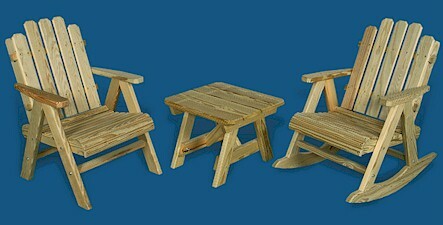 Only upper grades of pressure treated woods are used, resurfaced with edges rounded for safety and comfort. Hardware is plated for durability. 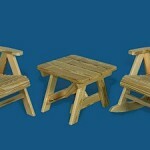 We offer many styles of tables, benches, chairs, swings, gliders and more. 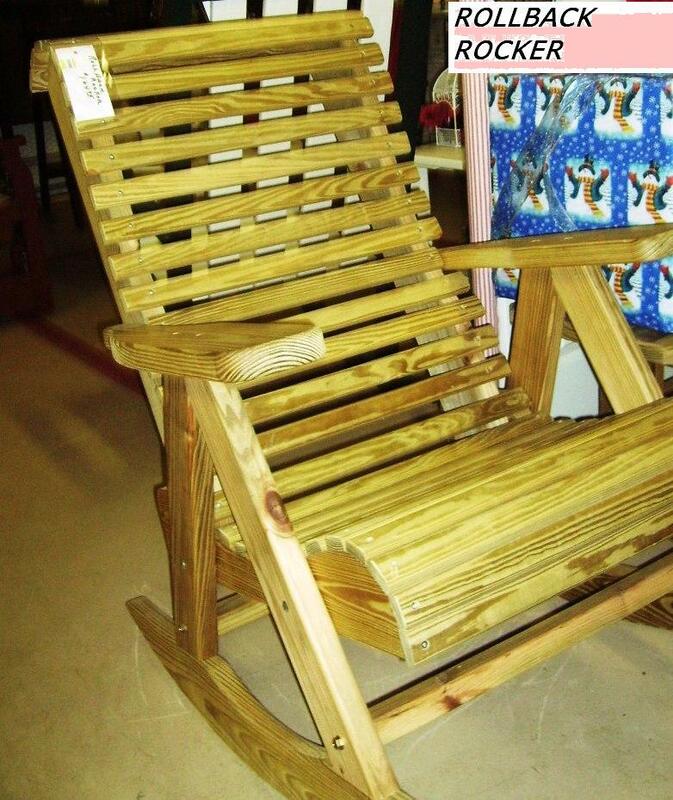 Stop by today to see our full selection or call if you are looking for a specific piece. 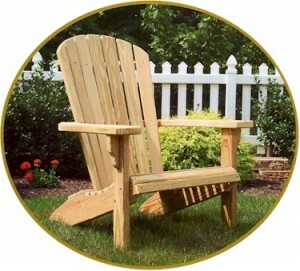 Adirondack furniture with deep contour seats and curved fanbacks for additional comfort is a classic favorite.